Does Your CRM Product Help You Create Better Relationships? This three-part blog series presents two ways to easily create a better relationship with your customer by simply thanking them for their positive review: once immediately after they complete the review (Part 1), and then with a second thank-you when they return to your shop (Part 2). Part 3 of the series will cover how to identify and encourage your Advocate Customers. 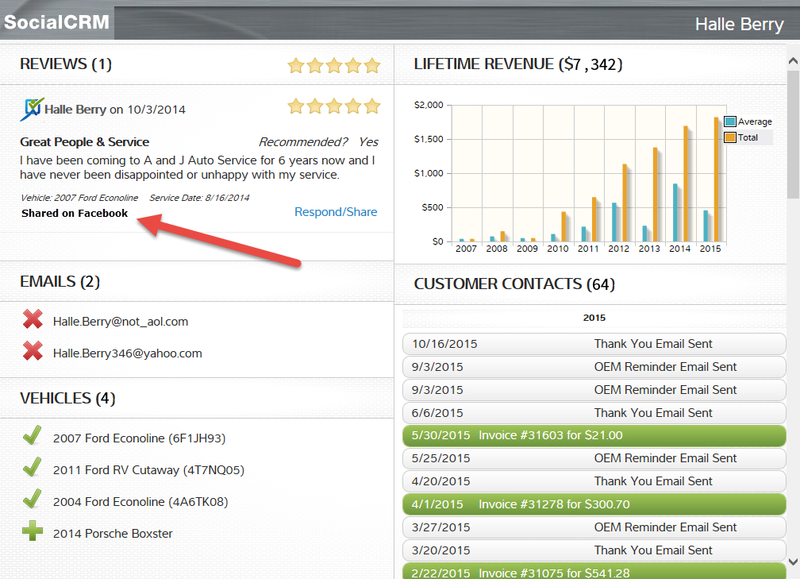 In Part 1 of this blog series, we established that thanking consumers for their positive reviews via the Respond/Share button not only gets posted with the original review for others to see, but an email is also sent to your customer with your response. Creating a dialog of reciprocating appreciation is exactly how relationships and trust are built, and therefore it makes sense not to miss that opportunity. 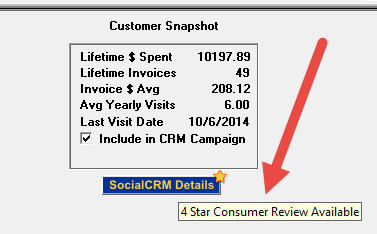 Step 1 – A star on the button indicates that you’ve received a new review. Step 2 – Click Respond/Share to write a short thank-you response. In Part 2 we ask “What if you knew that the consumer standing at the front counter gave you a spectacular review during their last visit and then shared it with all their family and friends on Facebook?” You thanked them once when they gave the original review months ago (covered above), and now you remembered their kind words and said thank-you a second time while they are at your front counter. What impression does this have on your customer? Do you think it would help deepen your relationship? You could use the mouse-over text to see if they had a positive experience, say thank-you and be done. Or you could click on the button and see exactly what was said, if they shared it on social media such as Facebook, and what services were completed during their last visit – see graphics below. 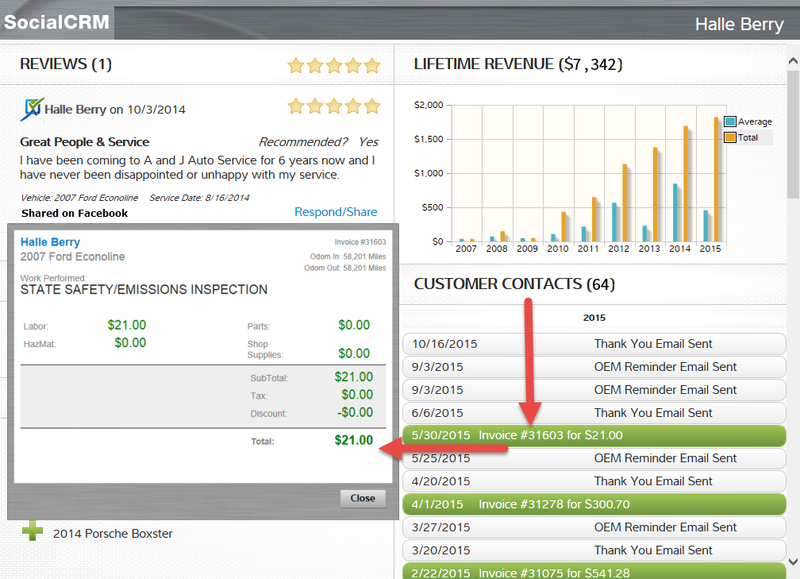 Step 3 – Click the green invoice bar to see service details. The additional insights you get with this system help you engage with customers and understand their satisfaction level with their experience at your shop. Stay tuned for Part 3 of this series, which will talk about the value of and how to create more Advocate Customers.